Your habits are hardwired, literally. Your brain allows you to do things unconsciously so that you don’t have your attention on all the detail that’s involved in habitual behaviour. If you had to think about all the different elements of driving a car including all the adjustments required with changing conditions you probably wouldn’t have your attention on what’s happening on the road. So habits are core to productivity in all aspects of life. Good habits work and bad habits don’t, it’s that simple. So why don’t we just change the bad ones for more effective, productive and satisfying habits? Because it’s not that easy. 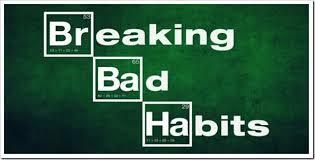 Have you noticed how hard it is to change any habit? Try changing something that should be relatively easy like the way you brush your teeth in the morning for a month and see how that goes! Bad leadership habits have developed over many years and have become part of who we are and how we know ourselves. So changing bad leadership habits take changing the relationship we have with ourselves and this takes courage and work as its very unfamiliar, uncomfortable and confronting. 1. Identify the routine: the neurological loop that consists of a cue, a routine and a reward. 2. Experiment with rewards: what drives your motivation for the habit and is there an alternative motivation (reward) that will work in its place. 3. Isolate the cue: what triggers the habitual response. 4. Have a plan: how to respond when you are triggered by the cue. 1. Awareness: becoming aware of blind spots and barriers. 2. Responsibility: identifying the source of those blind spots and barriers and acknowledging their impact on you and others. 3. Choice: interrupting unconscious and automatic choices with new and effective ones. 4. Action: determining appropriate and effective actions inside those new choices. Leadership is a process of challenging habitual behaviour, norms and ways of thinking to create new possibilities that would not exist if we just stuck to habitual thinking and behaviour. So what habits would you need to change to provide that kind of leadership? PrevPreviousAuthentic Leaders – Why do we need them and what do they look like?